Out of context, the idea of ranking a film in which a man is seduced into plotting to kill his wife as one of the most “romantic” films of all time may seem puzzling (to say the least). But that is the beauty of Sunrise: it is at once a moving and confounding film, one that challenges us to look beyond the surface at the very human motivations that drive the characters. Yes, the Man (played ably by George O’Brien) considers drowning his Wife (an angelic and poorly bewigged Janet Gaynor) at the encouragement of the devious Woman from the City (Margaret Livingston). 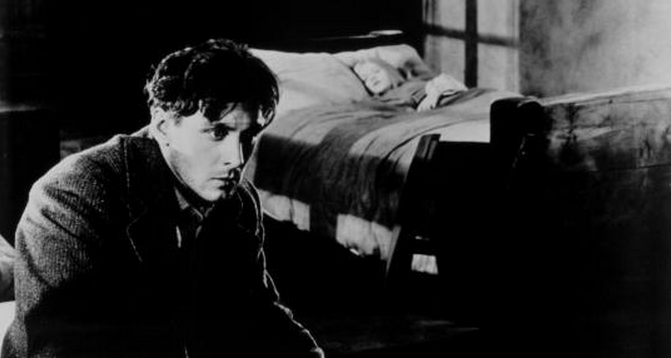 But if that plot point is all you can focus on in this film, you’re kind of missing Murnau’s broader point. The movie is a study in redemption and the regenerative power of love. It is an allegory, one that does not rely overmuch on title cards to relay dialogue between the characters, and as such, it deals in familiar tropes and archetypes to set the stage for the story to come. The characters are crafted with deceptively broad strokes: the Madonna-esque Wife, the devilish temptress from the city, the Gothic hero of a Man who escapes the clutches of the femme fatale and earns absolution for his sins. Indeed, the entire film is one overarching archetypal journey, from the depths of despair to a rebirth, of sorts, as the Man and the Wife eventually find their way back to one another, greeting the sunrise joined together once more. It is an absolutely beautiful review, one that could only have been written by an adherent as passionate as you Brandie. This is one of the cinema’s crowning glories -much like the one you consider today in your fourth and final review for the countdown- and your magnificent discussion of its themes brings so much to already crowed SUNRISE literature. Just wonderful, as are all your posts for the countdown. We are so lucky to have had you again! Sam, thank you so much. I am thrilled to have been invited to participate again, and I’m especially glad to have been able to write about four films which I adore.